This was a trend I didn't think I'd love. When I first saw Lauren Pope sporting a PVC skirt on an episode of The Only Way Is Essex I thought she looked amazing and I didn't think I'd like this trend or being able to pull this off! 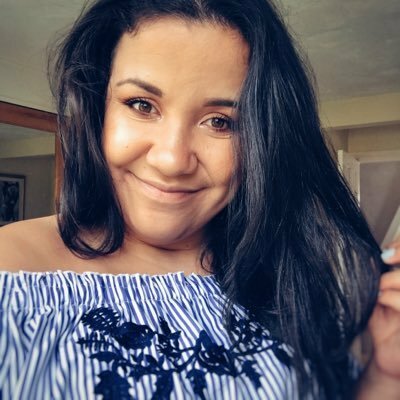 I was having a browse online and came across this cheaper version of a high-street brand skirt and thought why not give it a go and try styling it! 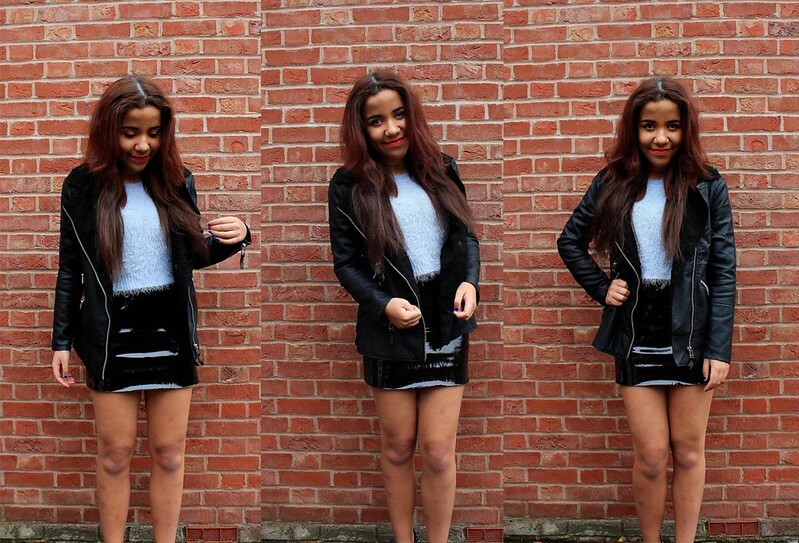 PVC Mini Skirt - Missguided(*) This might just be my favourite outfit at the moment. I recently got this AMAZING jacket from Miss Selfridge and I literally live in it. It's so warm, cozy and perfect for this winter! I think it looks great with an oversized jumper underneath and a pair of patterned trousers! 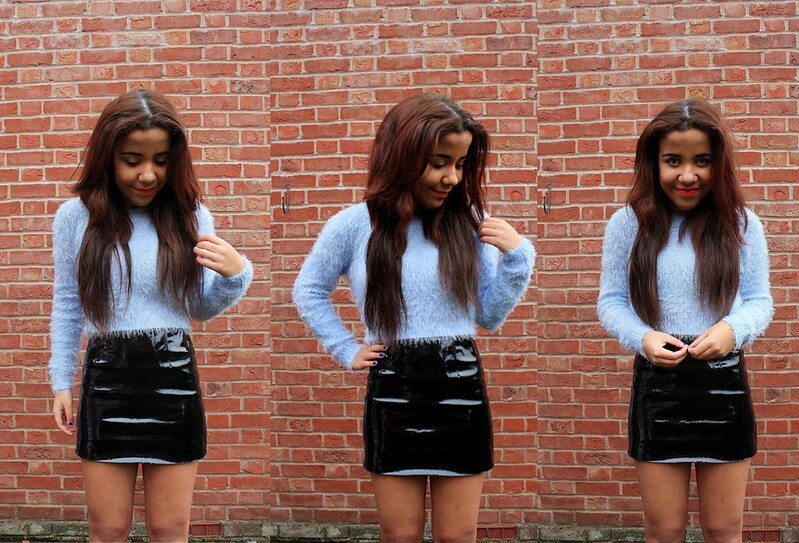 I've teamed it up with this fluffy jumper from Missguided with my new PVC skirt! PVC Mini Skirt - Missguided(*) I was pleasantly surprised at how well this skirt fits when it's on and how comfortable it is to wear! I genuinely didn't think PVC would be comfortable?! I thought It'd be tight and really uncomfy! (a Nicki Minaj impression fail in the middle there haha!) I really like this Aubergine version of this skirt too! PVC Mini Skirt - Missguided(*) I can't wait to wear this skirt a lot more this autumn/winter! It immediately makes a statement and really makes your outfit stand out! I love the midi PVS skirts around at the moment but also the skater PVC skirts too! PVC Mini Skirt - Missguided(*) I really like this outfit and for during the day I'd wear it with thick black woolly tights as it's SO cold outside at the moment! I think a PVC skirt is a great stylish edition to add to your wardrobe and a bargain too at only £17.99! It'll look great with blouses during the day and for a going out look a crop top with sky high heels! What do you think of PVC skirts? Do you like this trend? Twitter//Instagram//Facebook Shop The Post! ah love this outfit, the texture of the jumper goes amazing with the pvc look! Oh no, I think you've converted me too. I've been unsure about PVC and its past.. This looks amazing on you! I love what you've paired it with too. I love that skirt, wish I could pull it off myself!